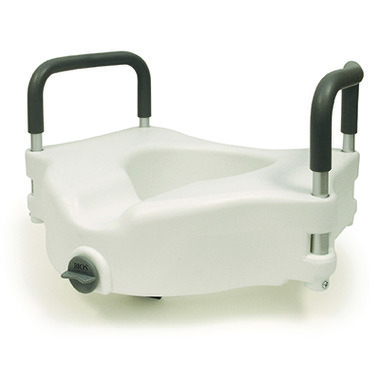 The tool-free clamp-on raised toilet seat attaches easily to most commodes, made from a comfortable moulded plastic which is easy to clean and durable. Raises existing toilet seat 4.5” (11.4 cm), non-skid pads prevent seat from slipping. Weight capacity: 220 lbs (100 kg).